The name STACORE comes from STABILITY and CORE. Bogdan STASIAK and Jarek KORBICZ are the partnership behind what is quickly being recognised as the absolute reference products in Isolation available today. Stacore also stands for the highest standards of artisanal workmanship, utilising only the best quality materials. All this results in an opening of a wide sonic window, allowing for a deeper understanding of its sound and discovering of new aspects, previously buried in unwanted vibrations. Following on from the success of the Stacore Basic, Basic + and Advanced platforms, Stacore recognised that many racking systems were not equipped to cater for many audio components available today. The Stacore Rack System is the answer to this problem. Not only can the Stacore Rack house components of extreme size and weight but the optional built in isolation platforms in the Stacore rack systems tackle unwanted vibrations in a new and innovative manner. 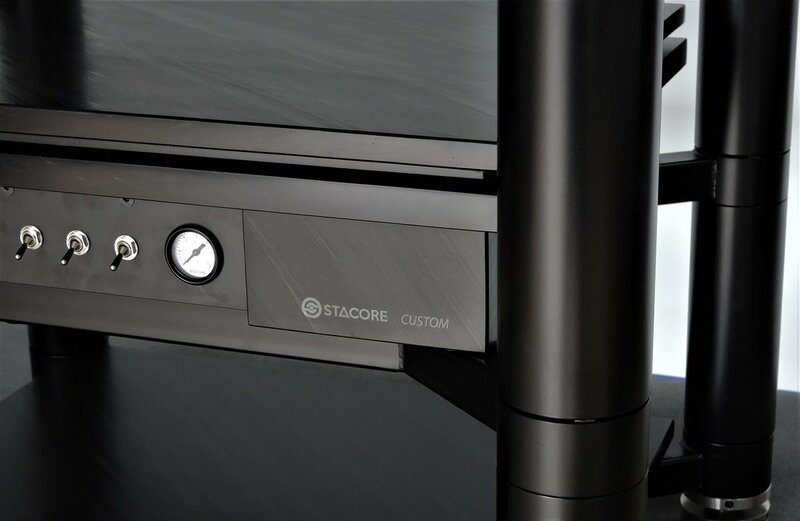 No matter the size or weight of your system a Stacore Rack can be personally designed to bring your systems performance to new heights.